Nicolas Cage Drops Out Of "Green Hornet"
Nicolas Cage won't be going "Green" on the big screen after all. Cage has dropped out of Sony Pictures' "The Green Hornet," according to The Hollywood Reporter. Cage had been in line to play the villain in the film, opposite Seth Rogen, who plays the title character. According to The Hollywood Reporter, the split came when Cage and the studio were unable to come to terms on a deal. 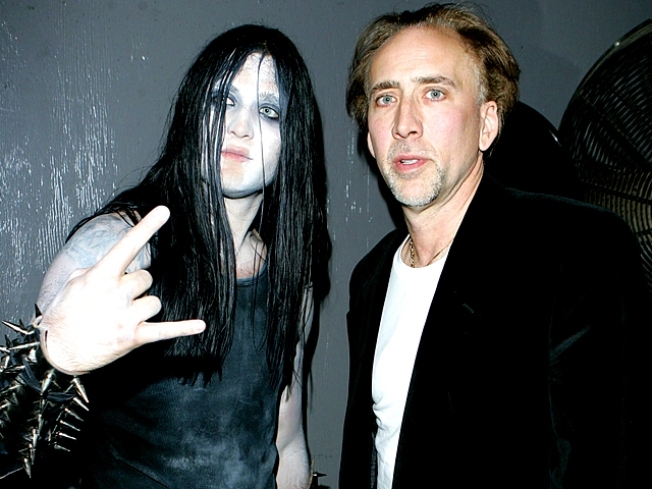 While early filming began last week in Los Angeles, none of Cage's scenes had been shot yet. It's not the first shakeup to sting the film. Stephen Chow – previously set to both direct and play the role of sidekick Kato – exited the film. Jay Chou stepped into play the role, while Michael Gondry is now on board to direct the project. Cameron Diaz will play the female lead opposite Rogen's superhero character.